Birth control implant is an effective and safe contraceptive used for the prevention of unwanted pregnancy in women aged 18 and older. Despite the fact that the first implants to prevent pregnancy went on sale a few decades ago, contraception by means of implants is a progressive method of birth control. In the USA, birth control implants are sold under different trade names. The most popular generic names of contraceptive implants are Etonogestrel and Levonorgestrel. The most popular brand names of implants for birth control are Nexplanon, Implanon, Jadelle and Norplant. Hormonal implants are used for long-term contraception. The effect of birth control implants containing Etonogestrel last 3 years, but Levonorgestrel-containing implants prevent ovulation for 5 years. The prolonged contraceptive effect is achieved due to the fact that the implant releases daily a small doses of the hormone, which suppresses ovulation and prevents a fertilized egg from attaching to the womb. Birth control implants contain only progestin hormone. Thus, they can be administered to women who have contraindications to estrogen-containing contraceptives. Each birth control implant contains 68 mg of Etonogestrel hormone or 75 mg of Levonorgestrel hormone. Different types of contraceptive implants have the same shape, but different sizes. The shape of implants for birth control is cylindrical, the diameter is 2 mm or 2.5 mm, the length is 40mm or 43mm. Regardless of the shape, diameter and size of the implant, it should be inserted subdermally in the upper arm. If the woman decides to get pregnant during the contraception, she should see a doctor, who will help to remove birth control implant. After the cessation of hormonal contraception, fertility is restored. However, it is impossible to determine the exact period of fertility recovery, different factors can affect the women’s reproductive health. To remove birth control implant, its localization in the arm should be determined. In most cases, the implant localization under the skin can be found by palpation. If the place of the implant insertion cannot be found using palpation, X-radiation, diagnostic sonography or mammogram can be required for its localization. control implant. Between repeated attempts to remove implant, the interval from a few days to a few weeks should be observed. It should be noted that side effects might occur during the entire period of using the implant for birth control. The most unwanted effects of contraceptive implant are acne and weight gain. In addition, anxiety symptoms, dysfunctional uterine bleeding and vaginal bleeding between periods may occur after the insertion of subcutaneous implant. 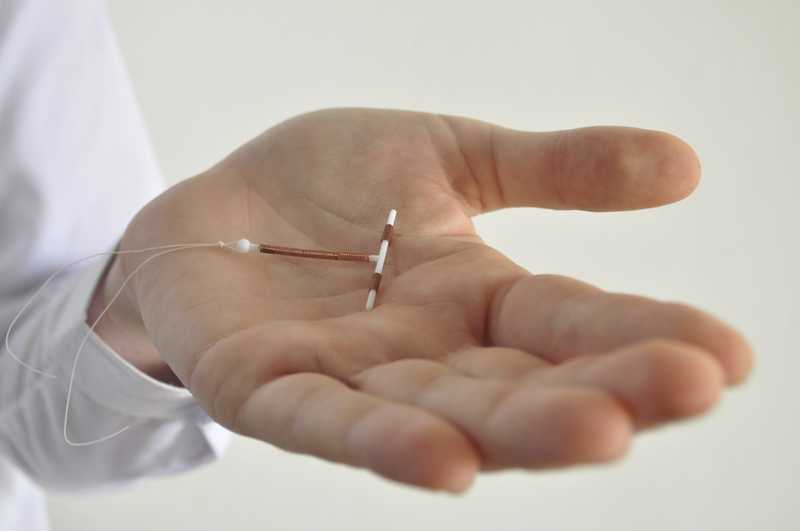 Every tenth woman removes birth control implant because of its negative effect on the menstrual cycle. Birth control implants cause the same side effects as other hormonal contraceptives. Therefore, if hormonal implant causes severe side effects, it should be removed and replaced by non-hormonal methods of contraception.